Unlike most other cases of angina, patients who present with a history of chest pain and an EKG that demonstrates Wellens changes should NEVER be sent for a stress test. Welcome to the fourth edition of the #FOAM Review! 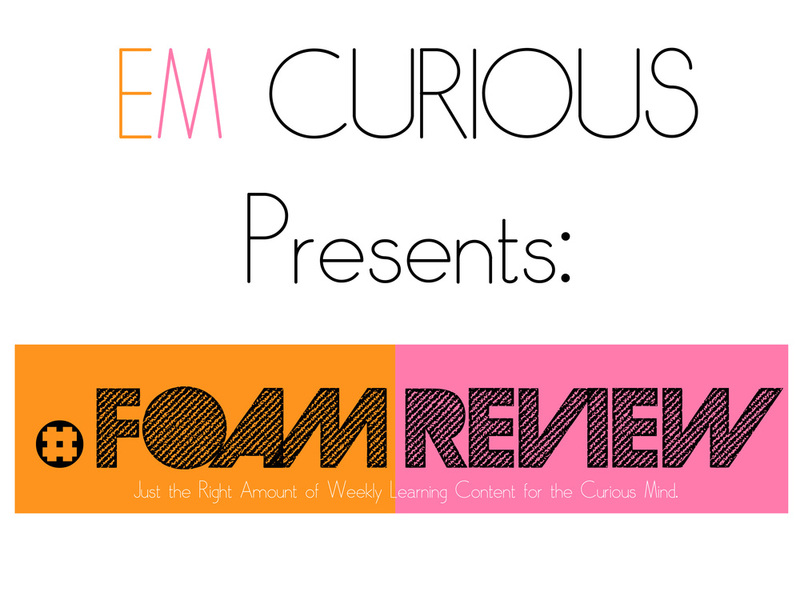 The idea of the FOAM review is to give you a digestible selection of reliable content from the online EM/CC world that you can fit into your busy weekly schedule. Each review will include highlights from the highest yield blog, podcast, video and web sources around. Over a year's span we will be sure to include topics from all core EM content areas...even the ones that may not be the coolest. Look out for the #FOAM review curriculum and indexing page in the next few weeks as we continue to update the website! BUT FIRST A QUICK TANGENT! If you haven't already, let us know what is YOUR 'go to' tool and meds for the standard intubation! Click on image to the left and share your practice with the world! We will publish interactive info-graphic next week with the results! AND NOW ONTO THE FOAMed. ANKLE-BRACHIAL INDEX [VIDEO/BLOG]: Patient presenting with a cold leg? Oh and by the way, they mention they have diabetes, HTN and 40 pack year smoking history. You should probably check their pulses, or an ABI if you can't palpate anything. High yield video on the technique here and excellent pocket resource regarding acute limb ischemia on ALiEM. POCUS IN SOB [BLOG]: POCUS for respiratory complaints may improved likelihood of diagnosis at 4 hours but does it improve patient outcomes? Read two different posts from St. Emlyns & EM Literature of Note on the recent Lancet article regarding POCUS in patients with respiratory symptoms. Or get in on the twitter discussion here. MANAGEMENT OF DOG BITES [BLOG]: Do we still need to allow dog bites to heal by secondary intention? Should antibiotic prophylaxis be standard of care? Take a look at the evidence at Rebel EM. FLUID MANAGEMENT [PODCAST]: There has been quite a bit of talk regarding maintaining the glycocalyx during fluid resuscitation. Listen to the SMACC lecture by Jeremy Cohen, hosted on The Intensive Care Network, and think about what your strategy should be. VERTIGO [PODCAST]: The HINTS exam is your friend when a patient presents with vertiginous symptoms. Tips to distinguish between central and peripheral etiology at The Washington University Emergency Medicine Journal Club. BURNS [BLOG]: Step by step breakdown on key questions you need to answer about major burn management at LITFL. Minor burns need love too so check out the bottom line need to know at Don't Forget the Bubbles. #FOAM review is brought to you by Michael Macias. If you want to recommend content you think should be added to our curriculum, send me an email, I would love to hear from you. Sign up with your email address to receive EMCurious highlights and updates in a weekly newsletter which we hope to launch by next month! Welcome to the third edition of the #FOAM Review! The idea of the FOAM review is to give you a digestible selection of reliable content from the online EM/CC world that you can fit into your busy weekly schedule. Each review will include highlights from the highest yield blog, podcast, video and web sources around. Over a year's span we will be sure to include topics from all core EM content areas...even the ones that may not be the coolest. Look out for the #FOAM review curriculum and indexing page in the next few weeks. TIPS FOR PASSING A BOUGIE [VIDEO]: Advice from an expert in airway management , John McGill at HQMedEd, on troubleshooting when the bougie wont pass. MULTIORGAN US FOR PULMONARY EMBOLISM [VIDEOCAST]: Does your patient need a CTA? Or is there another option? 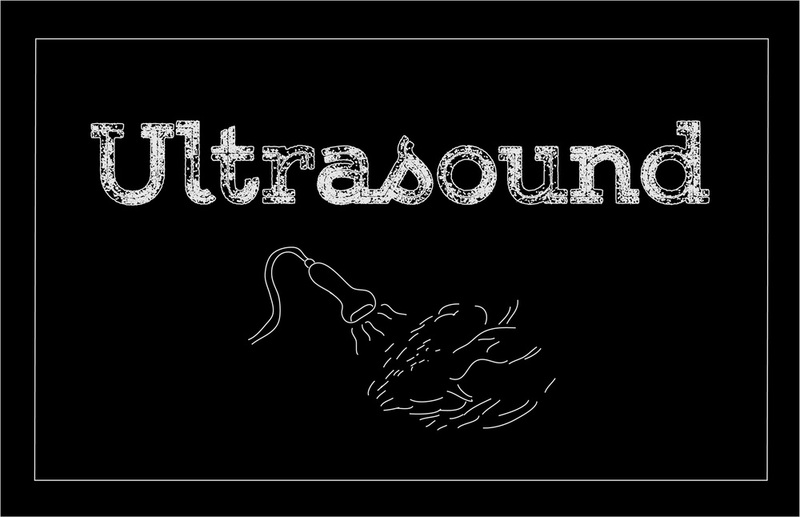 Let the US learning begin at ultrasoundpodcast on the evidence behind this hot topic. GREATER AURICULAR NERVE BLOCK [BLOG]: A better way to obtain anesthesia of the outer rim of the ear (helix) and ear lobe for laceration repair...US guided nerve block style at Highland Emergency Ultrasound. HIGH VS LOW BLOOD PRESSURE TARGET IN PATIENTS WITH SEPTIC SHOCK [BLOG]: TheBottomLine reviews the SEPSISPAM trial: In patients with septic shock does a high target mean arterial pressure (MAP), compared to a low target MAP, improve mortality? URETEROLITHIASIS [INFOGRAPHIC]: Tell your patient what there chance of passing their renal stone is based on location and size at Clinicalem. UTI [BLOG]: Take 5 minutes to learn how to distinguish between asymptomatic bacteriuria, uncomplicated UTI, and complicated UTI in the elderly and how to treat these different presentations at ALiEM. THYROID STORM [BLOG]: Excellent review on the up-to-date presentation and treatment of thyroid storm at emDocs. Don't forget to check a TSH in new decompensated CHF or arrhythmia! SKIN & SOFT TISSUE INFECTIONS [GUIDELINES]: The new IDSA guidelines are out for diagnosis and treatment of skin and soft tissue infections. Read them and impress your attending. TOXICOLOGY PEARLS [BLOG]: High yield synopsis of toxicology pearls from ICEM 2014 including: the approach to the poisoned patient, antidotes in overdose and the utility of decontamination at EmergencyPedia. #FOAM review is brought to you by Michael Macias. Click on the letter icon at the bottom of the page if you want to recommend content you think should be added to our curriculum. Welcome to the second edition of the #FOAM Review! The idea of the FOAM review is to give you a digestible selection of reliable content from the online EM/CC world that you can fit into your busy weekly schedule. Each review will include highlights from the highest yield blog, podcast, video and web sources around. Over a year's span we will be sure to include topics from all core EM content areas...even the ones that may not be the coolest. VIDEO: Critical care expert Matthew Mac Partlin gives an outstanding discussion on emergency airway access including steps to an effective cricothyroidotomy. VIDEO: There is more than the subcostal view to echo in trauma, learn with Cartan Costello an intensivist in Sydney. BLOG POST: The physiology behind the post lumbar puncture headache and tips to avoid this complication at RebelEM. BLOG POST/VIDEO/DISCUSSION: Visit the ALiEM Journal club page on Clinical Decision Rule for Subarachnoid Hemorrhage to get up to date with the current evidence. PODCAST/BLOG: A quick review from FOAMcast on hepatic emergencies from the well known hepatic encephalopathy to the rare but deadly chylous ascites! BLOG: Clear up some medical myths at emDocs and fight back with your consultants with evidence! Discussion includes: utility of kayexelate, stone heart, dopamine in cardiogenic shock, cross reactivity of penicillins, IVFs in DKA, troponins in SVT, the necessity of ABGs and checking coags in paracentesis! BLOG/TWITTER: You just can't get enough pulmonary embolism education from Jeff Kline the PE guru. Follow him and check out the EMCrit post for more on all things related to Jeff Kline's PE teaching. BLOG: You may not transport the acutely pregnant patient but you can learn a ton from the retrieval expert Minh Le Cong on physiologic considerations and specific disorders in the gravid patient. Welcome to the first edition of the #FOAM Review. The idea of the FOAM review is to give you a digestible selection of reliable content from the online EM/CC world that you can fit into your busy weekly schedule. Each review will include highlights from the highest yield blog, podcast, video and web sources around. Over a year's span we will be sure to include topics from all core EM content areas...even the ones that may not be the coolest. 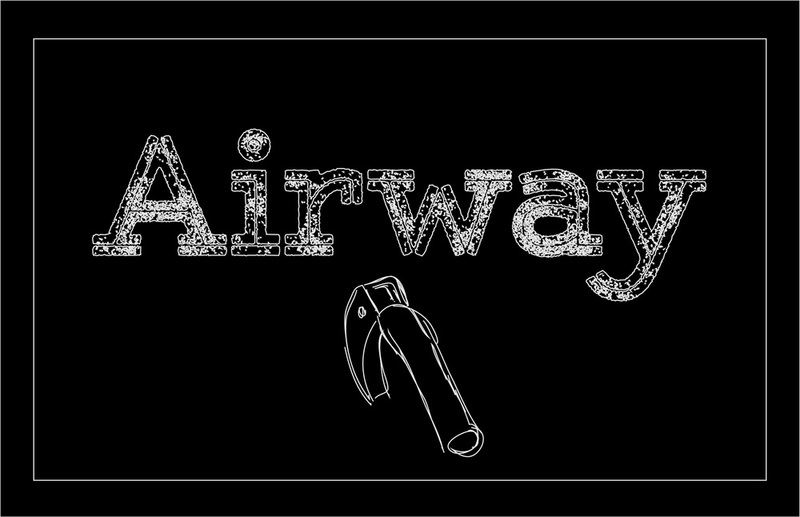 VIDEO BLOG: If you need to improve your airway skills or are completely new to EM, the Essential Emergency Airway Care Course is as good as it gets. 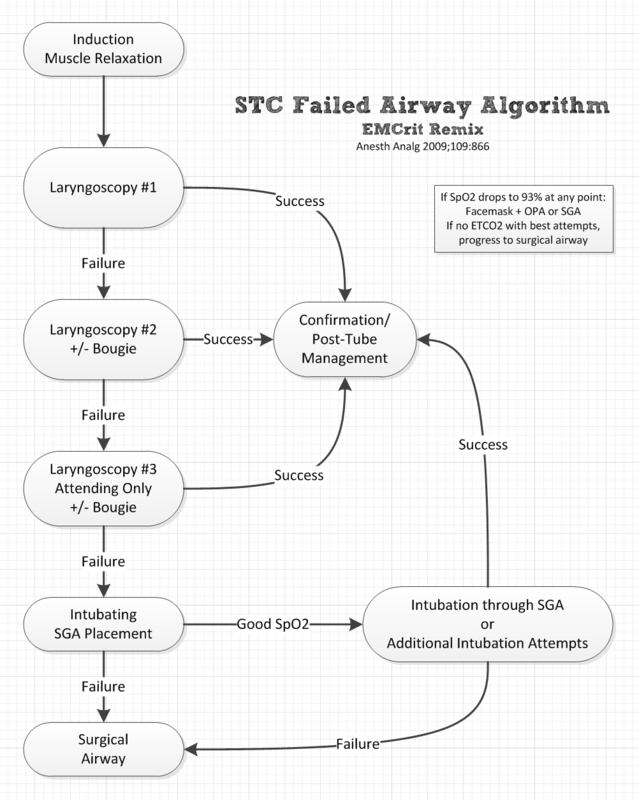 From planning your airway to the surgical airway, it's all covered with high yield video and flow charts at The Sharp End. VIDEO BLOG: Learn how to perform a proper lung ultrasound with Michael Allison from Maryland CC Project. BLOG: Ultrasound of the Week with an excellent case of a 27 y/o male with progressive DOE. BLOG: EM Nerd with a well worded discussion on the evidence for the utility of the d-dimer assay in PE. VIDEO BLOG: Learn the ins and outs of procedural sedation and anesthesia in this 3 part video by Ray Reuben at EM Updates. VIDEO BLOG: Life lessons on your approach to the pediatric patient and their family from Natalie May at SMACC Gold 2014. VIDEO: Another excellent ECG video of the week from Amal Mattu covering atrial fibrillation in WPW. BLOG: Can we send patients home with topical anesthetics for corneal abrasions? This answer and more on eye emergencies at EM Lyceum. PODCAST: Rob Orman discussed the art of the chemical takedown with other big names in EM and the controversy over the black boxed Droperidol. The entire site continues to be under construction. Sign up to receive updates and continue to be on the lookout for new features! Follow us on twitter for continued content and poll questions to find out what others are doing in the field of emergency medicine!